One of Director David Kappos’ first actions was to send out an email to all the examiners at the USPTO (U.S. Patent and Trademark Office) that rejection did not equal quality. Mr. Kappos has had almost two years to make good on the policy change. When Mr. Kappos took over the allowance rate had fallen to 39%. While this shows progress and many parts of the Patent Office have gotten the message there are still several art units where they are still operating under the “rejection equals quality” policy. The USPTO has a data visualization center, which tracks many usefl statistics. For instance, the overall allowance rate is 62.9% from a low of around 56.4%. The overall allowance rate does not consider RCEs as a new case. For companies that can afford to fight indefinitely with the PTO this is a better measure, but for companies on a limited budget this is small consolation. Despite the rhetoric that companies file multiple patents willy-nilly, the extreme cost and length of time it takes to obtain a patent means that even the wealthiest of companies are discerning in their patent filings. As a result, an overall allowance rate near its historical average of 70-75% makes more sense. 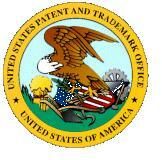 It now takes on average 25.2 months from the date of filing a patent application until you receive an Office Action. This varies significantly from one art unit (technology) to another. In addition, Congress stole another $100M in user fees, which has caused this delay to increase. Unfortunately, our Congress is not serious about their Constitutional duty to secure the rights of inventor.